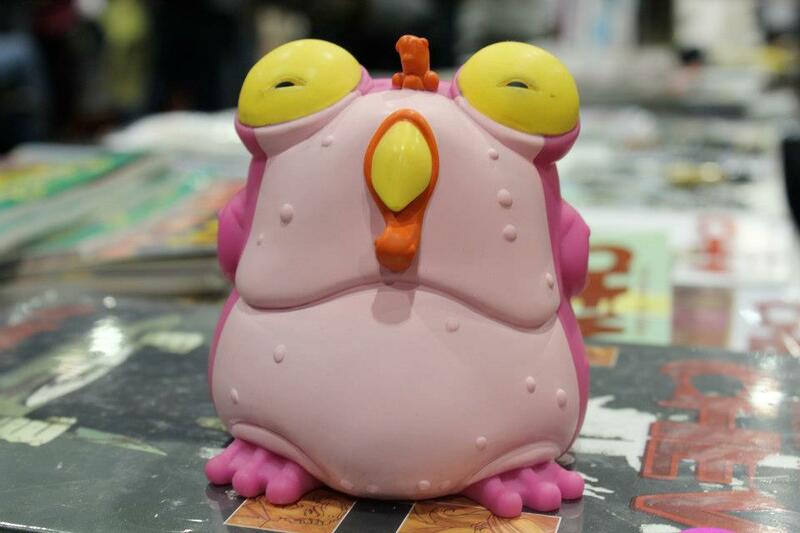 We reported last San Diego Comic Con that Chew fans learned some amazing news at the Chew panel with John Layman and Rob Guillory. 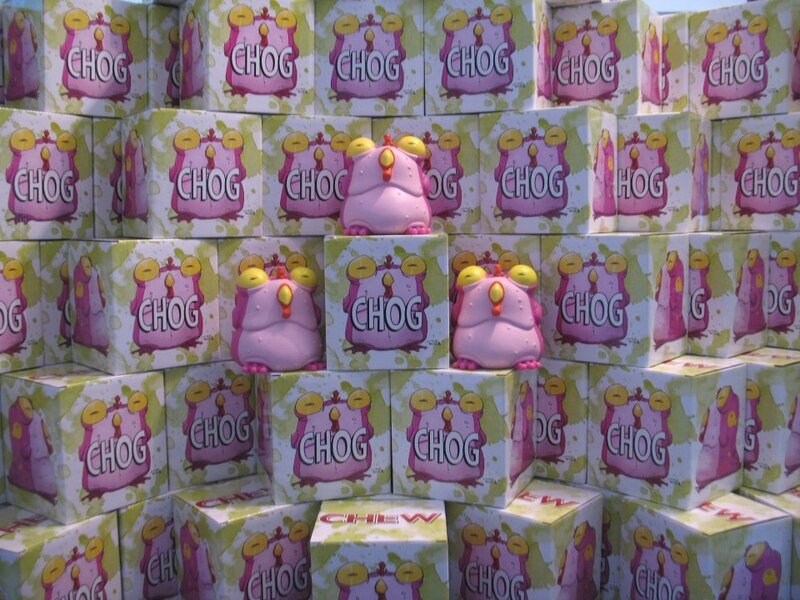 They would announce that the Chogs would be coming and in vinyl figure style! 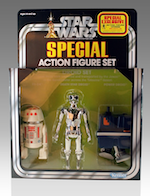 We would get the news from John Layman himself, but he also would introduce the person who would be creating them, Israel Skelton from Skelton Crew Studio. 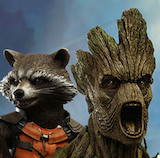 We have the coverage from the Chew Panel here. We are huge Chew fans and have been waiting for the Chogs to arrive! 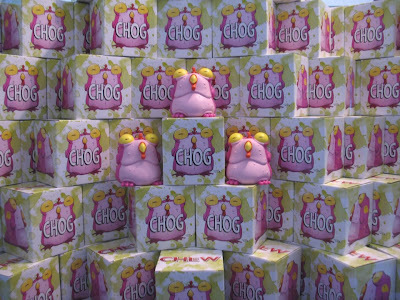 What makes the Chogs even more special is that they are vinyl figures and strictly limited to only 1000 pieces. 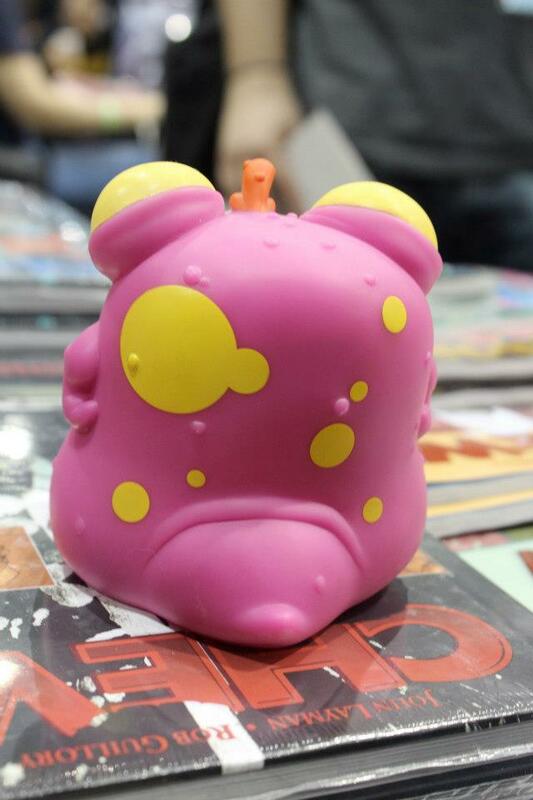 Really excited to announce that the limited edition pink and yellow Chogs are in – and live now on our site. 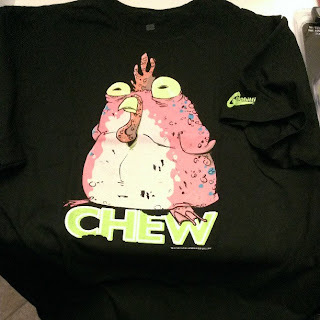 The first 400 include a sweet bonus: A replica studio audience ticket from the “In the kitchen with Chow Chu” show signed by “CHEW”’s John Layman and Rob Guillory. 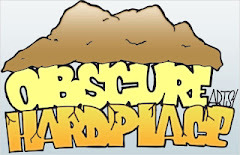 Happy to also report that you’ll be hearing more in the next month about our new Artifact Archive line with “Hellboy” and “B.P.R.D.” And, of course, more news and a few prototype pics from the next releases for “Locke & Key” and “Mouse Guard” to come. 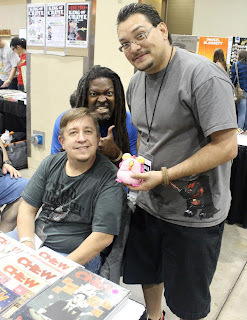 John Layman, the Chog, and I and that guy! 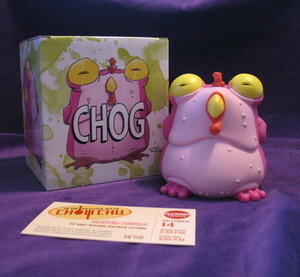 Now that we rock the Chog shirt, we will soon have the Chog vinyl figures!